I know I’m deviating from my usual content, but this is science related and there is much public rhetoric about this topic. This is about raw milk. My state’s department of public health is trying to increase rules and regulations for the implantation of raw milk sales. I am concerned with this attempt. To set the stage, I want give my credentials and background. 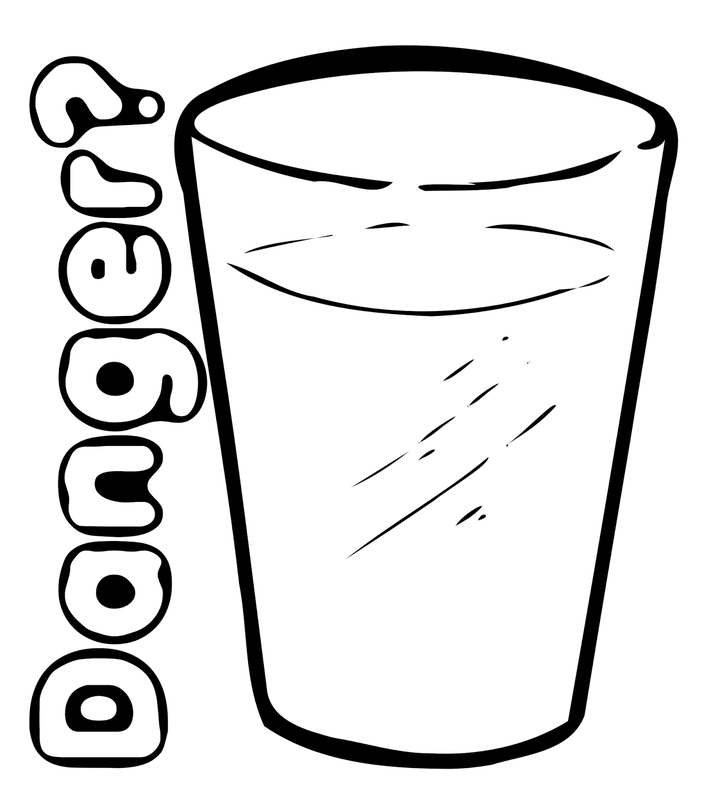 Then I want to assess the danger. Lastly, I want to talk about how to impair the growth of milk-borne pathogens. I have not only drunk unpasteurized milk at times in my life, but I know many who do and have drunk it. One of my parents grew up on a dairy farm, thus drinking raw milk through childhood. Over the years I have known many milk producers, I have helped milk cows on many different farms. In addition to the hands on and practical experiences, my graduate degree is in biology, and I have taught college classes in microbiology, human anatomy and physiology, and general biology. Any biologist, who reads the literature, would have to agree that unpasteurized milk can be dangerous and there is a measure of concern. However, while reading through my state’s health department’s new rules and reading other related technical journal articles on this subject, I’m skeptical of some things that are being presented. Of all the people I know who have, and do drink raw milk, I have only heard of one unconfirmed case of illness attributed to raw milk. To put this in perspective, if one would average all the raw milk illness cases between 1993-2006 in the United States, and look at how many people got sick from raw milk, my anecdotal experiences would accurately reflect the results (1). After calculating the numbers, the chances of one coming down with a raw milk related illness in any given year is about 1/30,000 people (these are only people who drink raw milk, not the general population). Compare this to food related illness such as from meat. Approximately the chances of one getting sick from contaminated food is about 1 out of 4 people each year (2). In addition, I have known many who have gotten sick from fast food. So is there an issue with raw milk? Yes, especially if not properly gathered, prepared and stored. This goes with both pasteurized and unpasteurized milk. Let me cover some very foundational aspects of milk safety. Farmers not only need healthy animals, they want them. Most go to great lengths for this. Lactating animals are expensive – unhealthy animals ultimately cost more for care. Most farmers like animals, that’s why they farm. Most raw milk producers are small scale farmers, they are especially concerned because of the high investment cost per animal. When one knows the farmer and visits the farm for raw milk pickup, it gives the consumer a better opportunity to make sure the animals are healthy. Quality of the milk increases if the cow is properly feed, has clean water and has a proper bovine environment. Prevention of microbial contamination in the milk is also essential. The miking area needs to be well washed and dried before milking. A barn will never be as clean as a house, nor a cow as clean as a person. However, the animal should be clean using the proper methods and standards that farmers use. All dairy farmers filter the milk to remove contaminants and reserves of microbial contamination. This is done (and should be done) immediately after milking. Most farmers ingests the milk themselves, he or she wants safe milk as well as anyone else. The last, but very important aspect of safe milk safety is refrigeration and storage. The milk container needs to be food grade, clean and easily to be cleaned. In addition, proper temperature is needed for milk storage (under 41 degrees Fahrenheit). It needs to be fresh from the farmer’s refrigerator. The milk needs to be sold on the farm, not at a grocery store. When one goes to the farm to pick it up, one will have more knowledge how it was produced, cared for and stored. Just like any pasteurized milk, old milk poses a danger. Milk needs to be discarded if it is older than a week to a week and a half in age or if one questions its safety. After a week or so the chances increase for harmful bacterial growth. No, raw milk is not anymore dangerous than anything else if one uses proper methods. As a farmer or consumer, you have to be knowledgeable and educated. The more you know, the less likely you will be led amiss. What are your thoughts? Do you have any other pointers? Do you know of any stories of one coming down with illness from raw milk?